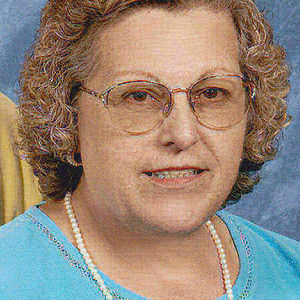 KAREN S. STILES age 67 of Sturgis, Michigan passed away unexpectedly Sunday, March 11, 2012 at her home. She was born February 24, 1945 in Coldwater, Michigan only daughter of Ralph and Gladys (Parker) Johns. Karen resided in Sturgis since 1972 coming from Coldwater and was a graduate of Coldwater High School with the class of 1963. On October 8, 1966 she married Robert A. Stiles in Quincy. He died October 1, 2009. Nearly all of Karen's working life was involved in retail sales. She retired in 2008 from Rite Aid in Sturgis following several years of employment. Prior to joining Rite Aid she had been employed by the Maplecrest Pharmacy in Sturgis from 2000 until the business closed and she had also worked at J.C. Penney in Sturgis from 1977-1999 when that business closed. She was an active member of the Sturgis Wesleyan Church in Sturgis where she enjoyed volunteering her time especially with the AWANA program. For many years she was involved in the Sturgis Women's Bowling League serving as a board member. Karen enjoyed bowling, reading, watching movies traveling and time spent with her family especially her brothers. She is survived by her loving son, Mike of Sturgis, two brothers, Ron (Iny) Johns and Larry (Sylvia) Johns both of Coldwater and 15 nieces and nephews. The family will receive friends from 4:00-7:00 P.M. Wednesday at the Hackman Family Funeral Homes – Rosenberg Chapel, 807 E. Chicago Rd., Sturgis, MI 49091, 269-651-3284. Funeral services celebrating the life of Karen Stiles will be held at 11:00 A.M. Thursday at the Sturgis Wesleyan Church in Sturgis. The Rev. Steve Bean will officiate. A graveside committal will follow the service at Oak Lawn Cemetery in Sturgis. The family suggests those wishing to make a memorial donation in Mrs. Stiles' memory consider the Sturgis Wesleyan Church, 907 N. Nottawa St., Sturgis, MI 49091.